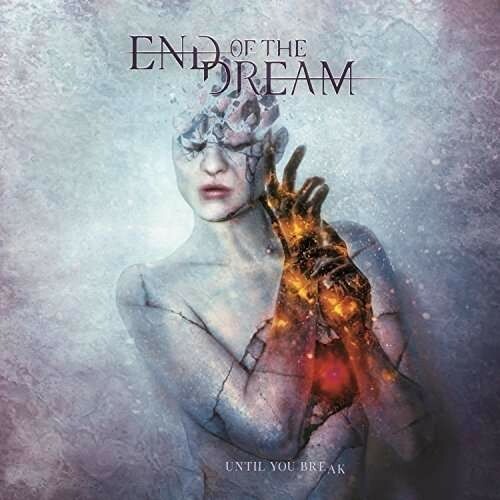 If the balance of power in Symphonic Metal is to be challenged, End Of The Dream have plenty in their armoury to be right up there on the frontline. I doubt I'm alone in thinking that sometimes Symphonic Metal just sounds bloody monotonous, with its predictable self-indulgent keyboards, the haunting vocals of a Classically-trained songstress and loads of thunderous orchestral drama. All these elements have been used and abused half-heartedly by a plethora of bands trying to muscle in on the global success of the genres power players such as Epica, Within Temptation, Evanescence and Delain. However, Holland's End Of The Dream are by no means a bunch of fly-by-night chancers. They broke ground in 2015 with the well-received 'All I Am' album. Produced by the former After Forever keyboardist Joost van den Broek, their sophomore release sees them wisely retaining his services. You couldn't wish for a better tune than the title track to crack open this collection. What begins a tad laboured, quickly explodes with a tsunami of power and melody. However, momentum fades early doors with the pedestrian 'Who Do You Think You Are', 'Erase Me' and 'Wakeless'. After monstrous openings, these tunes, at best, border on mediocre, but to put a positive slant on it, the alluring vocals of Micky Huijsman mask a lot of the frailties. That said, there are still six songs left to help heal the bruises, starting with the stupendous 'The Heart In Me' which is a complete game changer, and its deliciously addictive chorus is matched by a slick guitar solo – without doubt, a tune suited and booted to seduce the airwaves and the best track on the album by a country mile. To be honest, it ain't half bad from here on in. Brilliantly produced, van den Broek uses Huijsman's immense power sparingly and never lets it dominate. Armen Shamelian's gold label keyboards and Robin van Ekeren's scintillating axe work through 'Defile', 'From Your Sky' and 'In My Hands' are all exhilarating listens. The band strips it all back for chilling closer 'The Light' which climaxes with a simply stunning piano outro.